Raw image from Cassini acquired on April 14, 2012. 150 miles (245 km) across, Melanthius crater possesses a prominent cluster of peaks in its center which are relics of its formation. 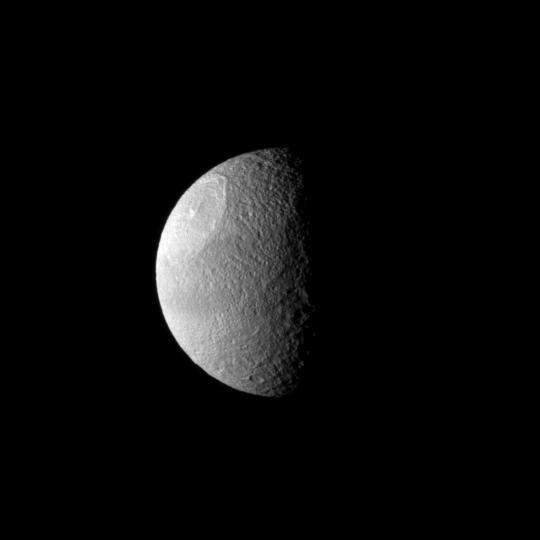 The crater is named after Odysseus’ disloyal goatherd from The Odyssey… fitting, since one of Tethys’ other main features is the even larger crater Odysseus (not quite visible here but just over the eastern limb) which is nearly twice the width of Melanthius. 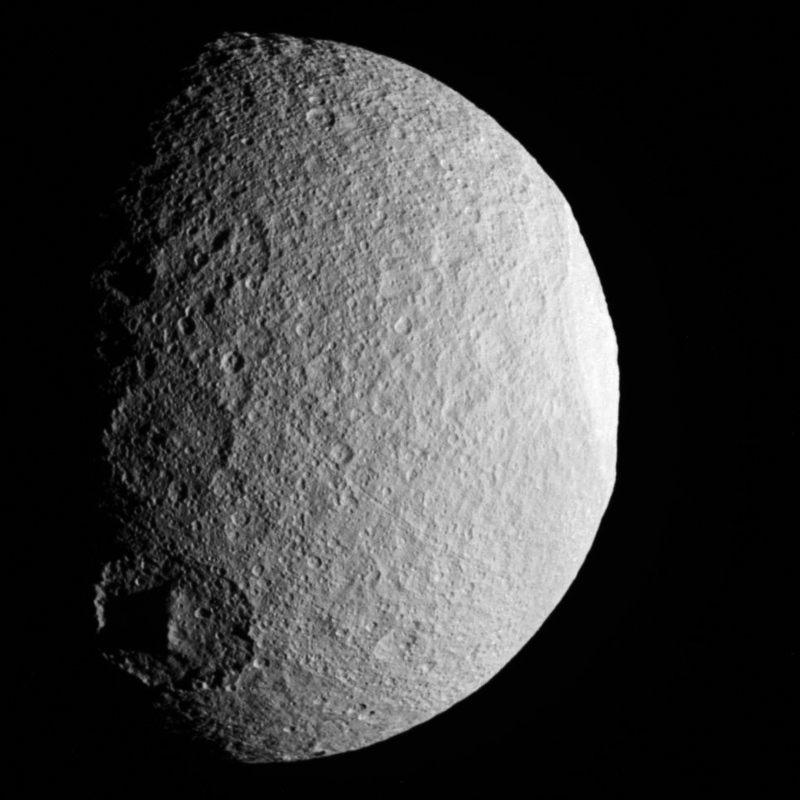 Cassini was about 12,003 miles (19,318 km) away from Tethys when this image was acquired. Previous Post Coolest. Sun Pic. Ever.